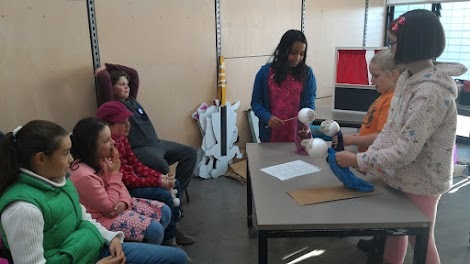 Across 10 weeks (May to July 2015), I taught 20 young students aged between 5 and 13 years all aspects of puppetry from building puppets to performing them and everything inbetween. At the end of project, students showcased their work to a public audience over two days. 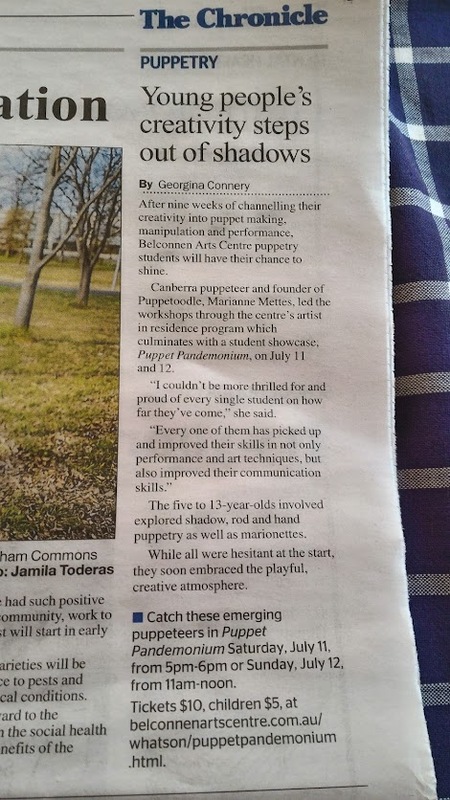 This project has been made possible by funding from project artsACT and an Artist in Residence program at Belconnen Arts Centre – and of course, 20 wonderful enthusiastic students! Click here to view the whole project. Video thanks to Risk Creations! 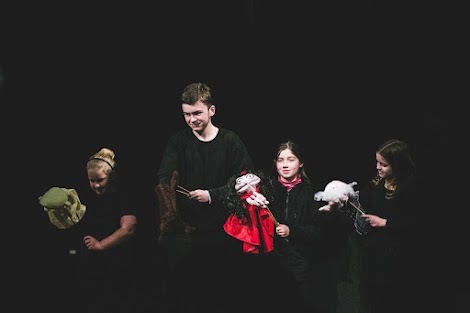 Across 10 weeks (May to July 2015), I taught 20 young students aged between 5 and 13 years all aspects of puppetry from building puppets to performing them and everything in between. At the end of project, students showcased their work to a public audience over two days. 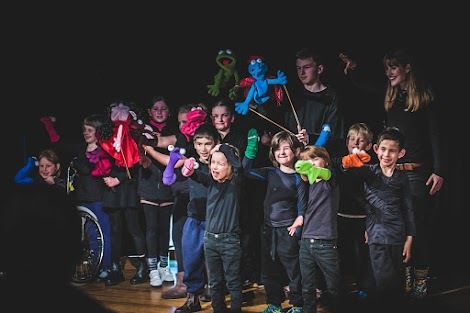 Here are all the performances which the students performed across a wide range of puppetry styles! “Eight Little Ducks” Rod puppets by students aged 5-7years. “Little Red Riding Hood” Mouth puppets by students aged 8-13years. “Eight in the Bed” Hand puppets by students aged 5-7years. 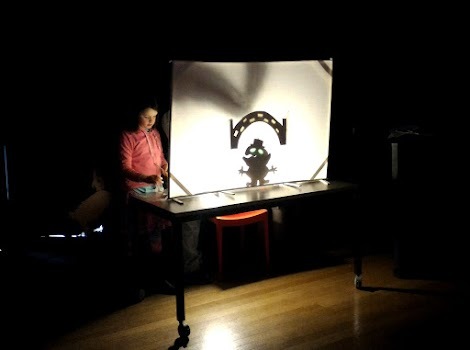 “Bill Goats Gruff” Shadow puppets by students aged 8-13years. “Damian’s Piece” Hand puppets by Damian Warren, aged 13years. 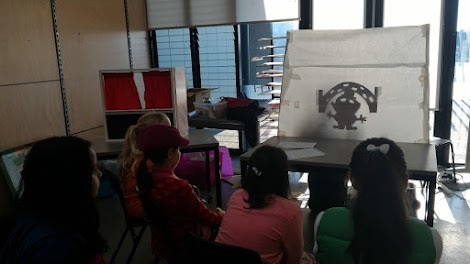 “There was an Old Lady” Shadow puppets by students aged 5-7years. “The Girl who cried Wolf” Hand puppets by students aged 8-13years. “The Princess and the Pea” Rod puppets by students aged 8-13years. 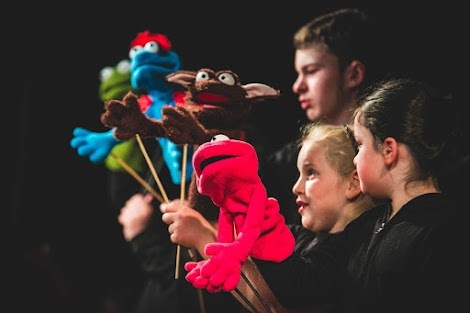 “Puppet Parade” Rod and string puppets created by all students aged 5-13years. 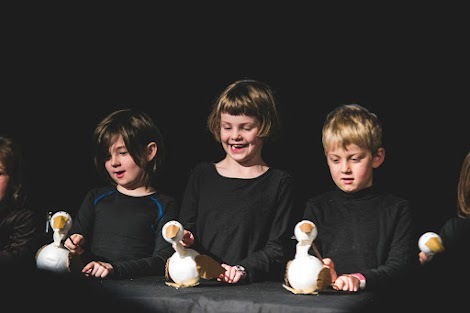 “Tonight Again” Mouth puppets, dance and singing piece by all students aged 5-13years. I couldn’t have wished for more amazing performances! My very talented, dedicated and passionate students blew the audiences and me away – I couldn’t be more proud! Videos coming soon. Many thanks to Dayna Ransley who took some amazing photos! For even more photos, visit my online Picasa Web album. This weekend was the big tech rehearsal in the theatre space! Only one more week till the big shows! 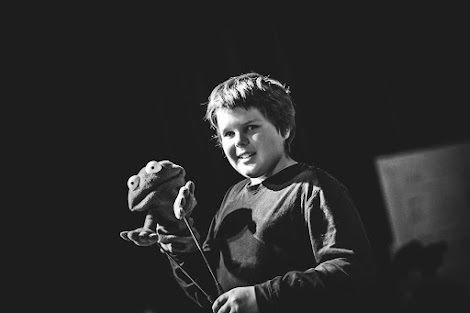 The students will be performing 10 short acts of puppetry which will showcase all the hard work they’ve been doing over the last 10 weeks! BAC residency – finished puppets! 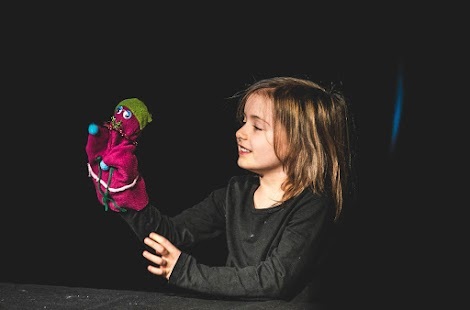 There’s nothing more exciting than the moment when you’ve finally finished making your puppet and you can bring it to life. Here are a few of those special moments from my students who finished making their fish puppets! With only a couple weeks to go before the big performances, students are getting their shows ready, building props, editing scripts and rehearsing their pieces! 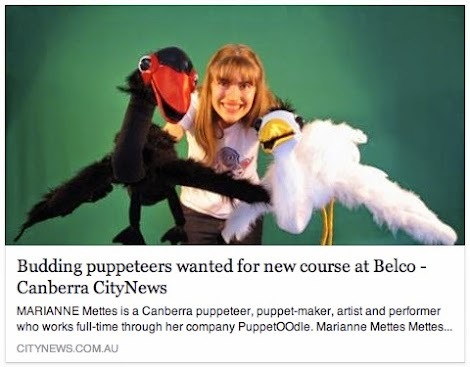 Each week during my residency at Belconnen Arts Centre, I focus on a different style of puppetry with my students. 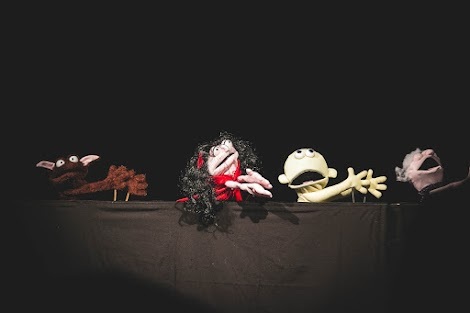 Covering all sorts of ground in the wonderful world of puppets, there was a big concentration on improvisation, character development and also learning performance techniques. 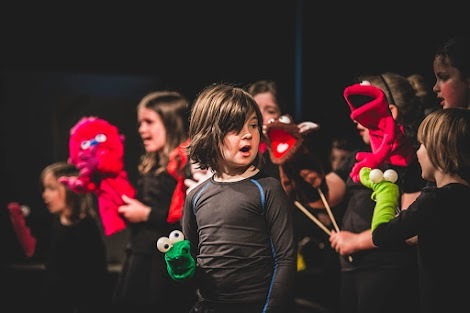 One of the biggest improvements I saw in all students was their growth in self confidence, not only being able to perform in front of their peers – but loving it! 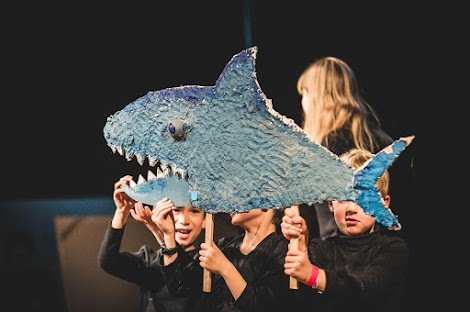 Across weeks 4 and 5 of my residency at Belconnen Arts Centre teaching puppetry – we’ve been making a series of fish puppets for our big puppetry production at the end of term! It’s been really magically watching all the students make their own creations from concept drawing through to building and painting. Next week we’ll putt on the finishing touches! 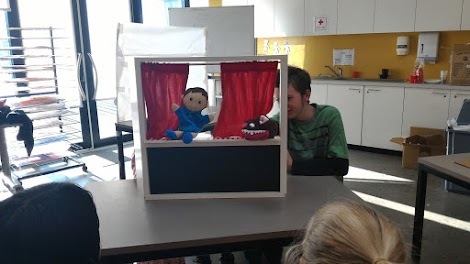 During week 3 of my puppet classes and residency at Belconnen Arts Centre, the students made a total of SEVEN puppet films! Here’s some of the highlights. All puppets, props, script and performance are completely done by the students under my direction and guidance! BAC residency – newest batch of puppeteers! It’s week two of my residency at Belconnen Arts Centre teaching two groups of kids aged 5-13. 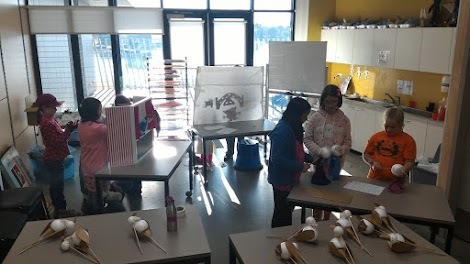 They’ve already made their very own glove puppets and have been learning all sorts of techniques! 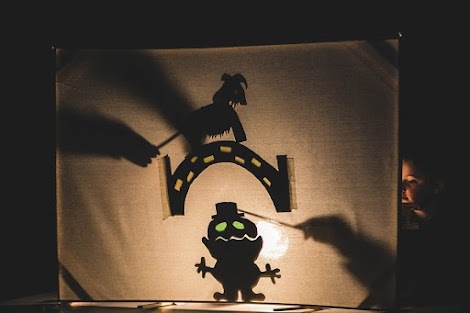 Next week we’ll be making films with their new puppet characters! I can’t wait! A big thanks to Laura White and Gary Schafer from the Canberra Weekly for such an awesome article about my upcoming classes! Just a few more days to enrol, only a couple spots left!!! 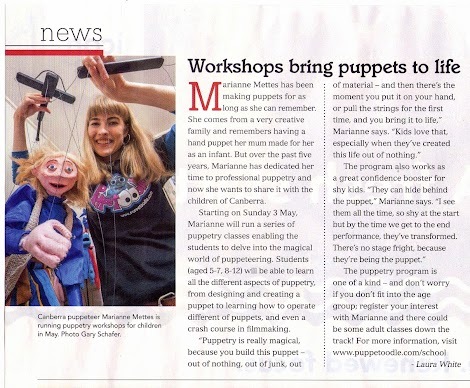 Yesterday, The Canberra Times featured an interview with me about my upcoming puppetry classes at Belconnen Arts Centre next week! Thanks so much to Jil Hogan. Read the online version here. I’m very proud to announce my upcoming residency with Belconnen Arts Centre! 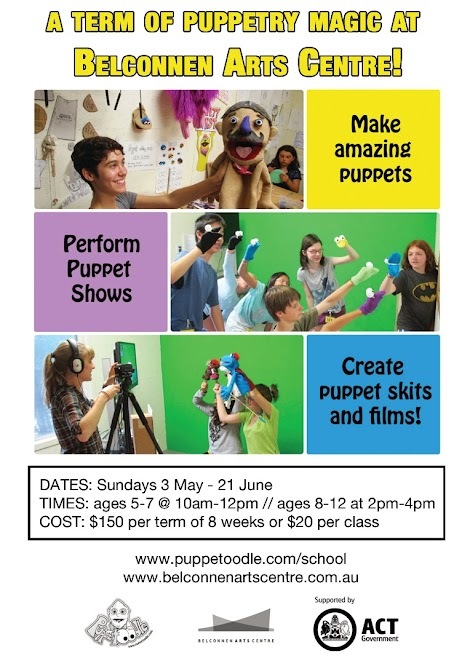 I’ll be teaching two groups of young Canberrans (ages 5-7 and 8-12 yrs) an 8-week term of all things puppetry! 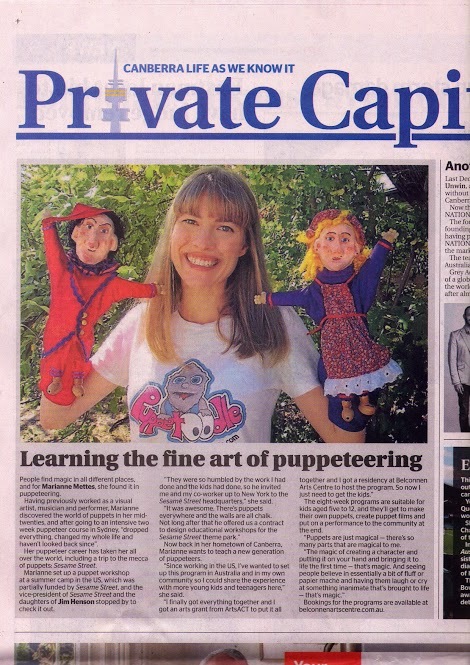 Thanks Helen Musa and the City News team for this lovely story about my upcoming residency! Check out the full story online here.